Apply to be the 2019-2020 SACE Office Intern! Interested in interpersonal violence prevention and advocacy work? Wanting to get more involved with the SACE Office? 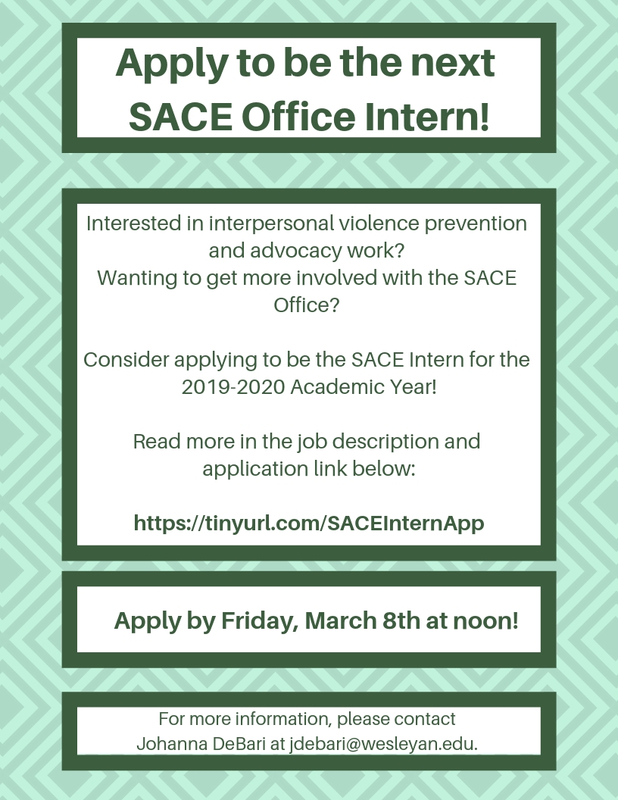 Consider applying to be the SACE Intern for the 2019-2020 Academic Year! Applications are due Friday, March 8th at noon! For more information, please contact Johanna DeBari at jdebari@wesleyan.edu.